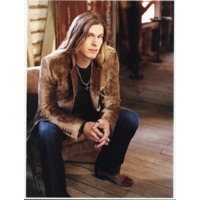 Jason Michael Carroll (born June 13, 1978, in Houston, Texas) is an American country music artist. After being discovered at a local talent competition in 2004, Carroll was signed to the Arista Nashville label in 2006, releasing his debut album Waitin' in the Country that year. This album has produced three consecutive Top 40 country hits for him on the Billboard Hot Country Songs charts: "Alyssa Lies", "Livin' Our Love Song" and "I Can Sleep When I'm Dead". Carroll's second album, Growing Up Is Getting Old, has also produced his fourth and fifth Top 40 hits. Carroll and Arista split in February 2010.